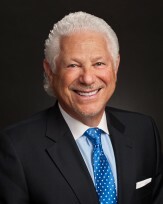 Leonard S. Englander is a founding partner of Englander Fischer. He received his B.A. from the State University of New York at Oswego in 1971 and his J.D. from Stetson University College of Law in 1975. Lenny has been Board Certified in Business Litigation by the Florida Bar since 1997, a distinction held by fewer than 275 attorneys statewide. He served for six years as a member of the Business Litigation Certification Committee and as its statewide Chairman from 2005 to 2006. Lenny has been annually honored by his peers as a member of “Florida’s Legal Elite” in the area of business litigation. He was named a “Super Lawyer” by The Wall Street Journal, and has been listed in Tampa Bay Magazine as one of Tampa Bay’s Top Lawyers in Civil Litigation. Mr. Englander has also served on the Florida Bar’s Grievance Committee and on the Board of Directors of the St. Petersburg Bar Foundation. He has been in private practice for 43 years and possesses considerable business, corporate and real estate experience which he channels into the business and litigation arena. He handles a broad range of litigation matters of all manner and complexity, and has acted as a trusted counsel, guiding public and private corporations through Florida, federal and bankruptcy court proceedings as well as arbitrations. Lenny’s counsel is often sought in company decisions and legal matters. He is a member of the Florida Bar and is admitted to practice before all Florida courts, the United States Tax Court, the U.S. District Court for the Middle District of Florida, and the Eleventh Circuit Court of Appeals. He prides himself on aggressive, level-headed advocacy, tempered by professionalism and a common sense approach to business and economic realities. Lenny and his wife Betsy reside in St. Petersburg where they have served on a variety of charitable organizations including the All Children’s Hospital Foundation Board of Trustees, Dali Museum Foundation Board, the Temple Beth-El, CASA Board of Trustees, Operation PAR, the Florida Holocaust Museum, and Menorah Manor.